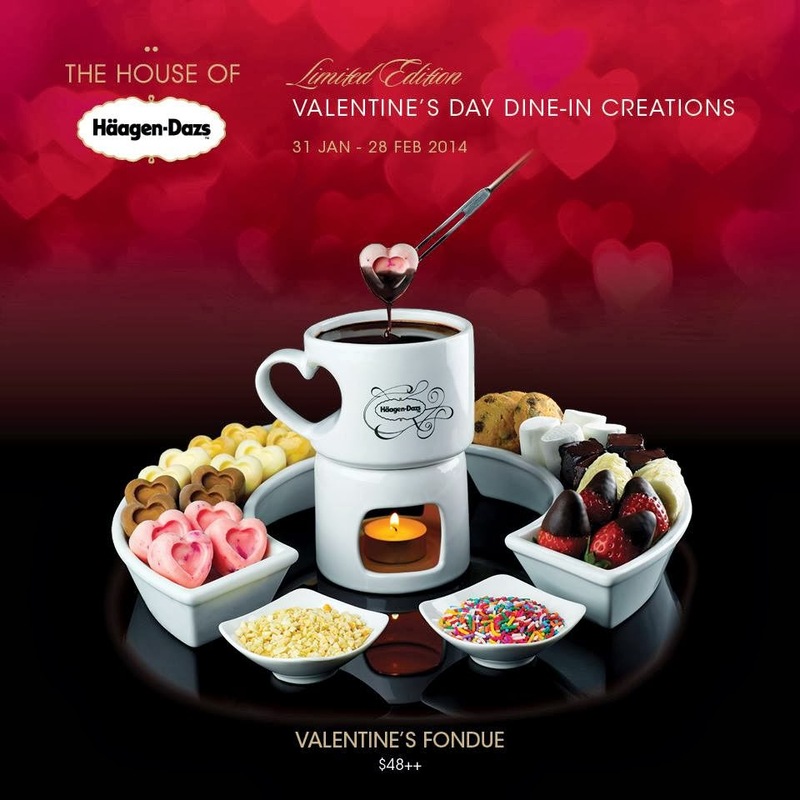 The lovely folks at Haagen-Dazs dropped off some fun goodies today, including a voucher for the Valentine's Fondue. Heart shaped ice cream, fruit, cookies, marshmallows and dark chocolate brownies dipped in luscious melted chocolate. I would love to give this away to a lucky couple. 1. Just share this post on Facebook or Twitter, tagging or naming the person you would most like to share it with. Or just share this Facebook post. 2. Email me (camemberu@gmail.com) with the subject "#HDSG Valentine's Fondue Giveaway" with the link of your tweet or post. 3. I will notify the winner by email. You can pick up the voucher from me if you want it urgently. Otherwise I will send it by normal mail. DEADLINE: 10pm, Wednesday, 12 February 2014. Yes, short one this time, cos Valentine's Day is so close already. The voucher is valid til 28 Feb 2014 though, so you still have time to enjoy it. Happy sharing, and have a fabulous Valentine's Day. Photo taken from Haagen-Dazs Facebook Fan page. Check out their other Valentine Day specials here.